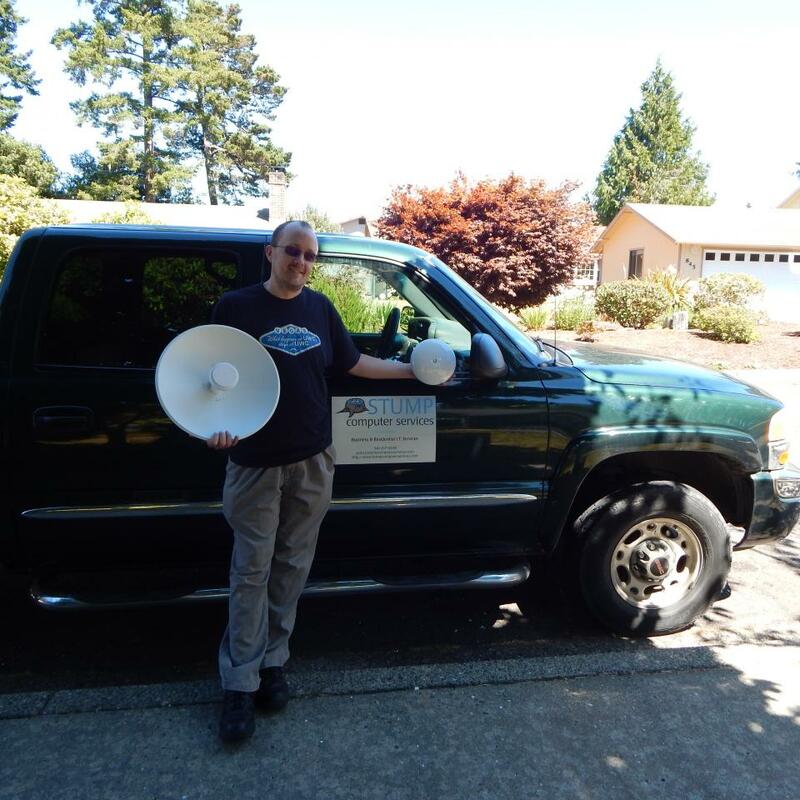 A loan of $4,000 helped finance new backhaul antennas to allow for faster more reliable Internet and expansion ability in rural Oregon. I grew up in a small mountain town with a population of around 700 people. Dialup Internet was the town option. As a young child I had a natural Interest in computers and pursued knowledge of them on my own. In Junior High and High School I helped support the school's computer system. The school had a 1.5M T1 Connection for their Internet. After graduating High School I entered the work force after a term of college. I did computer work on the side for years while trying to get a computer field related job. Eventually I saw the same company that had provided the school's Internet where I grew up looking for a technician. I applied and have been in the Computer field since. With the skills I had acquired both on my own and provided by the job I was later able to enter the I.T. Field working for myself. To be able to utilize my given talents to help others while supporting my family is an amazing feeling that I hope to keep. It helps to bring faster internet to the people in rural Oregon. In 2012 the company I had been working for in Lakeside, OR decided to close down the location. They had been providing Internet to the town and small parts of South Tenmile Lake. Instead of letting customers lose their Internet source I decided to take over the Wireless portion of the business in Lakeside. At that time I did computer support/repair for another company and only the Wireless Internet in Lakeside on my own. In 2015 the company I had worked for let me go. At that point I just started providing Managed Network Services and hourly I.T. Services under my existing business name Stump Computer Services. Managed Network Services and hourly I.T. has always been my main focus while the Wireless had been more of hobby and to ensure people didn't lose their best option for service. A few months ago I was finally able to get Gigabit Fiber based Internet ran into town for the main feed. With that upgrade the shift to a regular business with more focus has began. Previously it had been powered by two Cable based connections which provided very limited upload. The Fiber is Gigabit download as well as upload. I want to offer all Lake dwellers the ability to connect to an unlimited high speed Internet connection comparable to that available to those that live in town where wires can easily be ran to them. I am proud to be able to provide part of my rural area with a true high speed wireless Internet option. This loan will allow the purchase of High Capacity, low latency Internet Backhaul antennas to connect to North Tenmile Lake and also South Tenmile Lake above Coleman Arm. The Internet will be supplied by Gigabit Fiber that is already installed. Each licensed antenna system (Both sides) will cost around $3500. The frequencies will be in the 3Ghz and 11Ghz range. The excess funds will help cover mounting hardware and installation of a 60' tower (I already have the tower itself). With the increase in available bandwidth and reliability I will be able to connect more customers as well as offer a tiered pricing model with different speed offerings. More people get fast Internet and I get to increase my monthly revenue. This upgrade will easily pay for itself. Let's help the rural people of Lakeside, OR get better Internet.